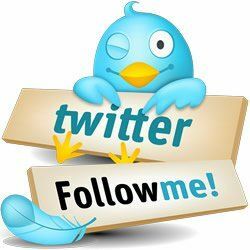 How To Grow Your Twitter Following With Free Tools! Twitter is an exciting platform, it allows people with value to become influencers and current influencers are more reachable, just a tweet away. It has never been easier to pitch to someone who can make an impact (and thus become influential as well). Knowing who influences your potential customers and winning their trust is a direction towards more success. It takes the right strategies and work. The first step is to research the influential people who are already interacting with you: Perfect place to start because you have already managed to get their attention. Below are 7 free tools. Who Tweeted Me is a new tool from Hubspot, it finds people who tweeted your tweets and sorts them by number of followers. You can thank Hubspot with a tweet. You will see the list of *recent* interactions with Twitter influencers. You will be able to see if you interacted back (track “unreplied status”). You will see if you follow that Twitter influencer. You will be able to load more information on each Twitter influencer in the next column. You can rate results by “highest rating” to see influential users who have ever interacted with you. You will be able to see how much impact each of the influencer’s tweets made (number “interactions” of the tweet = replies + retweets). New Klout “Moments” feature is another interactions manager you need to look into. You can control which “Klout” score users who have recently interacted with you have. There is debate in the social media community over the accurate measure of one’s Klout’s score. However, it’s a good measure for Twitter influence, since it heavily uses twitter as a measure of influence. You can interact with your influencer’s interaction by replying and retweeting from the Klout page. Kred is another free tool that will list your recent interactions and sort them by its own score called “Kred.” To thank users you can “Kred” them. Friend or Follow is a tool that grabs all your “fans” (people who follow you but who you are not following back) and sorts by the number of followers. You can follow them back right from the tool. Fruji is a tool that puts your followers into groups by the number of followers. They have incorporated the YAS (You Are Special) Factor , indicating a higher chance of that person noticing your tweets. Afterall, this is the main reason we are tweeting to share our inspiring, educational messages to change lives whether it’s on a business basis or personal development basis. Are you using any free tools for twitter? Let me know below. Remember, if you appreciate the value I provide in my blog posts, I will appreciate you sharing the blog post by pinning, tweeting, and/or posting it for your followers.